After a prolonged — for him, anyway — absence from Twitter, President Donald Trump returned to the social media platform early Friday morning. But apparently not everyone thought it was a great idea, even among those who support Trump. 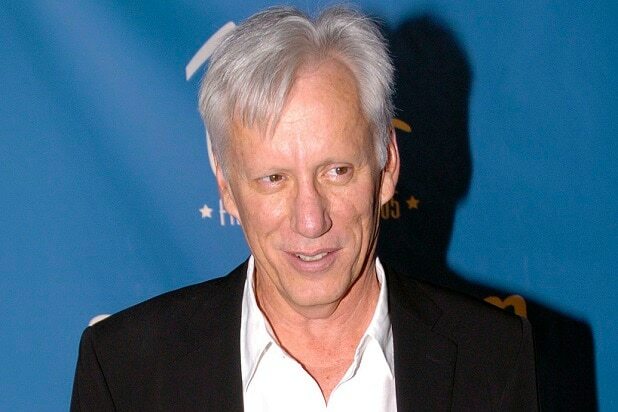 Actor and vocal conservative James Woods hit up Twitter on Friday to offer some counsel to the chief executive about using Twitter. Or, rather, not using Twitter. The “Once Upon a Time in America” star suggested to Trump that it might be a good idea to lay off the tweets, as to avoid giving his opponents fodder. Woods’ advice came hours after Trump returned to Twitter after a nearly 46-hour hiatus, the longest tweet-free period for Trump since he was inaugurated in January. Trump also took the occasion as an opportunity to declare “complete vindication” for himself. “Despite so many false statements and lies, total and complete vindication…and WOW, Comey is a leaker!” Trump tweeted early Friday. Woods knows a thing or two about well-timed Twitter silences: In November, the actor swore off Twitter, citing reports that the service had suspended accounts belonging to members of the so-called alt-right movement. “Since @Twitter is now in the #censorship business, I will no longer use its service for my constitutional right to free speech,” Woods wrote. 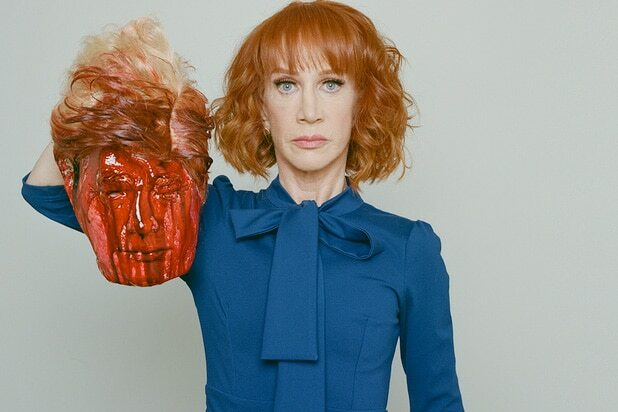 Kathy Griffin's photo of herself posing with the severed head of Donald Trump has been met with widespread condemnation and already cost the comedian her gig at CNN. But a few individuals are still publicly standing by Griffin, even if they don't entirely approve of her actions. Jim Carrey came to Griffin's defense when asked about the photo at the premiere of his Showtime series "I'm Dying Up Here." Carrey told Entertainment Tonight that it's Griffin's duty to "cross the line at all times," adding that comedians are the "last line of defense." Ricky Gervais also defended Griffin in an interview with TheWrap, saying that the photo was in poor taste, but ultimately harmless. "The only way you could say she went wrong was that it was a bit crass," Gervais said. "It wasn't great art. But OK, let’s say it was bad art. So what? Nobody got hurt. That wasn’t a real head." The photographer Tyler Shields is also defending the photo as an artistic statement and an expression of his First Amendment right to free speech. "There’s the famous quote, 'I don’t agree with you, but I’ll defend your right to say it,'” Shields told Entertainment Weekly. "I might not agree with [Trump], she definitely doesn’t agree with him, but I’ll defend my right to be able to say whatever I want until I die." "I still love Kathy Griffin," Jamie Foxx told Entertainment Tonight, when asked about the backlash. "Don't kill the comedian! There's a lot of people out here doing really bad things and every time a comedian says anything, says something about peanuts, [people say], 'You're peanut-shaming!' [A comedian] says something about dolphins [people say], 'Oh my god, you're a dolphin-shamer.' We're the comics, we're entertainers, we don't mean any harm." Former CNN star Larry King took a similar stance, saying the image was “in terrible taste,” but ultimately expressing sympathy for Griffin as a friend. “She’s my friend. She made a mistake. She apologized. Let it go," King told TMZ, adding that he would not have fired Griffin had he been running CNN. ‘Inside Amy Schumer’ writer Mike Lawrence came down on Griffin for apologizing for the stunt in a post on Facebook. “You know what you did and should own it. It wasn’t a riff onstage or a joke you had done once or twice," he wrote. "You wanted a reaction and got it. So live in it. Don’t apologize." Rosie O’Donnell tweeted about Griffin’s stunt by saying that she “didn’t find it funny at all.” But the longtime Trump critic has also retweeted a number of messages from users who say that similar actions — including people burning or lynching effigies of Barack Obama — have not been met with the same level of outrage. Civil rights attorney Lisa Bloom announced on Thursday that she will represent Griffin, and will host a press conference on Friday to "explain the true motivation behind the image, and respond to the bullying from the Trump family she has endured."